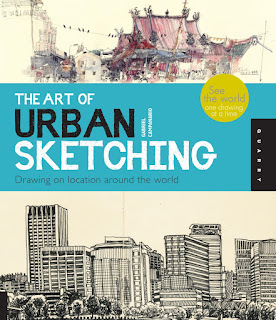 I've been blogging occasionally on the Urban Sketchers website for a few years now, and I'm one of 85 artists profiled in a new book about the international non-profit organisation. 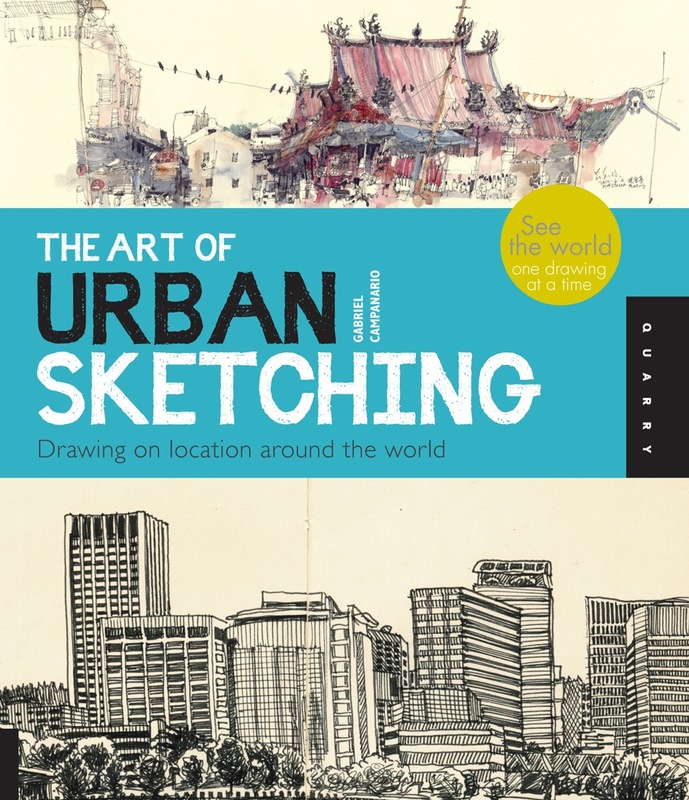 The Art of Urban Sketching, by its founder Gabriel Campanario, is published in February by Quarry at £17.99. Urban Sketchers is a great thing. Invited artists around the world post their drawings and paintings with a few words about how they came about. Whether the drawing is on the back of an envelope or in one of those swish Moleskine sketchbooks that some artists seem to like, it can have an international audience - and international critical response - within minutes. This can be kind of odd, and strangely exciting, when you consider what usually happens to many such drawings. Urban Sketchers is fantastically international, holds an annual symposium, which I haven't been able to attend yet, has nearly 16,000 Facebook fans and 7,000 people subscribing to its blog feed. It's worth visiting, if you haven't already. As its motto says: "See the world one drawing at a time." 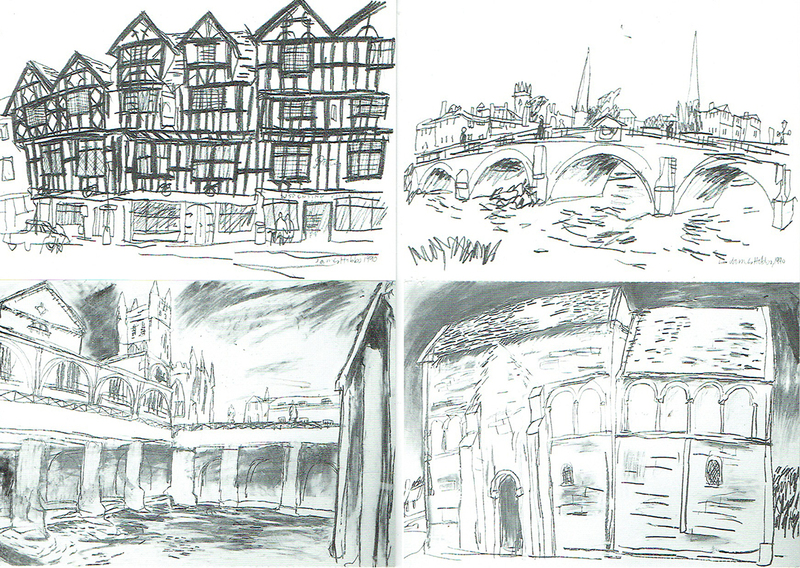 Yes, Urban Sketchers is wonderful.